Hi all, I have just received for Christmas Jasc photoshop 8 and have the trial version of adobe CS 3 programs and I don't know how to use any of them very well. to make large magnets with my own picture. 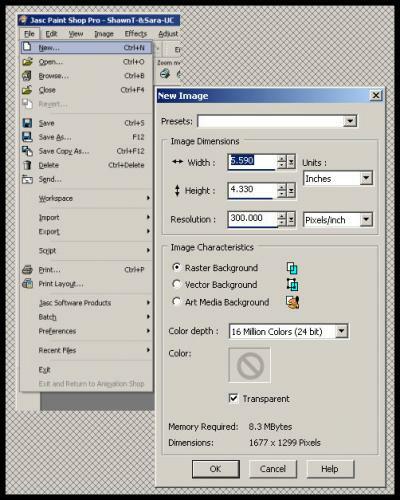 Vista Print has these guides for making the pic. 2. all background colors and images bleed to the edges of the document at the full bleed dimensions (5.59" x 4.33"). 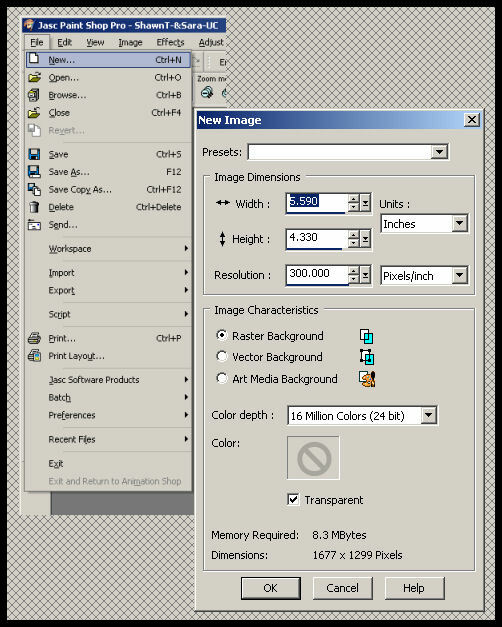 3. all important text and images are within the safe margin (.137” from the edge of your document). 4.resolution is 300 DPI at 100%. 5. all fonts are converted to outlines (Adobe Illustrator and Corel Draw). I downloaded the template for large magnets and opened it in Adobe photoshop CS3. I would like to know if there is a tutorial for this or if someone can guide me through it for the first time. I am a new new newbi. I have the template and now don't know what to do with it. I think I know how to make the final work the right size to the bleed. They are saying that if it is not done right, the pic will not look right on the magnet. now I am scared I am going to pay for 100 calendar magnets that look crappy. it tells the tech stuff, but it is all greek to me. I don't know anything about the rgb color and CMYK either, but want to learn. I am thinking I should start the whole process of making the picture for it now on adobe or Jasc. I don't know enough about templates, If I use their template, does it do all of this for you, or do you need to make the pic right first, before you put it in their template? Sorry for the newbie questions, it is probably a lot easier than I am making it. Edited by avajo4, 05 January 2008 - 10:05 AM. I'm Experienced with PSP 7 & 9, 8 isn't much different. It sounds like they have all that written out for the more experienced person, who'd weed that out & make it simplistic on themselves: it is really easier then they make it sound. All this can be done in Paint Shop Pro. There is no need to confuse things by adding other programs into the picture. I have a busy wk ahead, but If I can add a screen-shot of graphic @ these sizes, to help you in this matter I will: It is real easy. There is other tricks I like to use, to clarify photo's, by layering them & changing the colors: If you want help here, I can show you what I mean by that. Screen-Shot taken & attaced 2 Help You!! Please check it out. Edited by Blessed2BeeAlive, 05 October 2009 - 08:19 AM. To see the attachments, just click on them & it will enlarge for you. I work @ 300 DPI's via Digital Scrapbooking. Which makes the picture show up better!! Edited by Blessed2BeeAlive, 05 October 2009 - 08:29 AM.